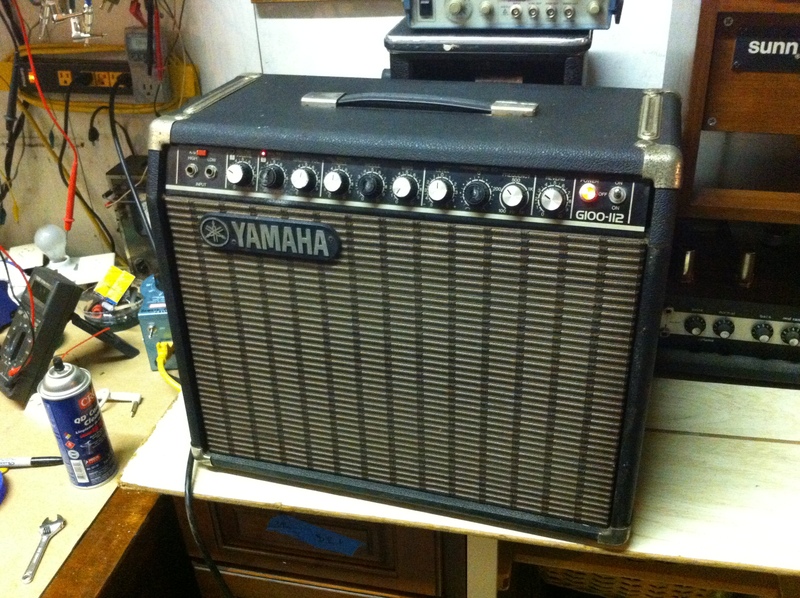 An old little Yamaha combo amp. I don’t really know anything about this amp. I believe it is from the 80s. I think there are various versions of the Yamaha G100. This is a 1×12 combo but I have also seen heads that I believe are the same amp. Not too sure. Had a few issues of poor connections at a ribbon cable interconnect and at the input jack causing it to cut in and out, but mainly just needed a new speaker. G100 puts out about 100W – that single 12″ speaker needs to be able to handle it. 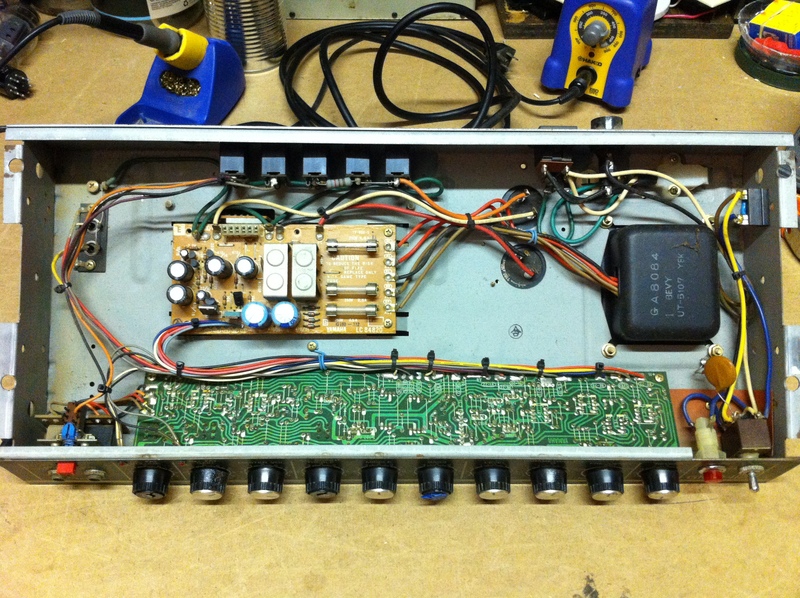 Beware, the master volume knob only works for one channel and not the other. If you switch channels with channel volumes up and master volume down thinking you are in control, you may be in for a rude surprise. 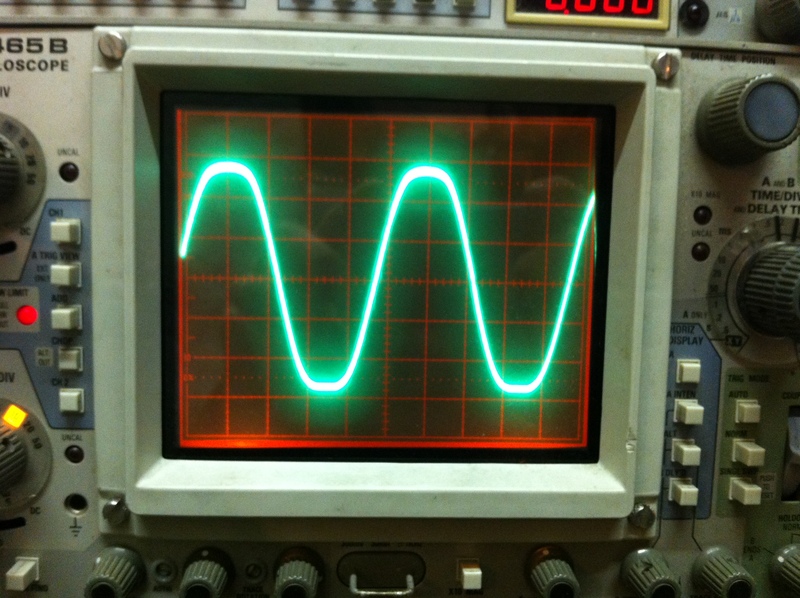 Super neat sine wave and the amp sounded very clean indeed. Wish the intensity of the display wasn’t up so high so we could see it even neater.